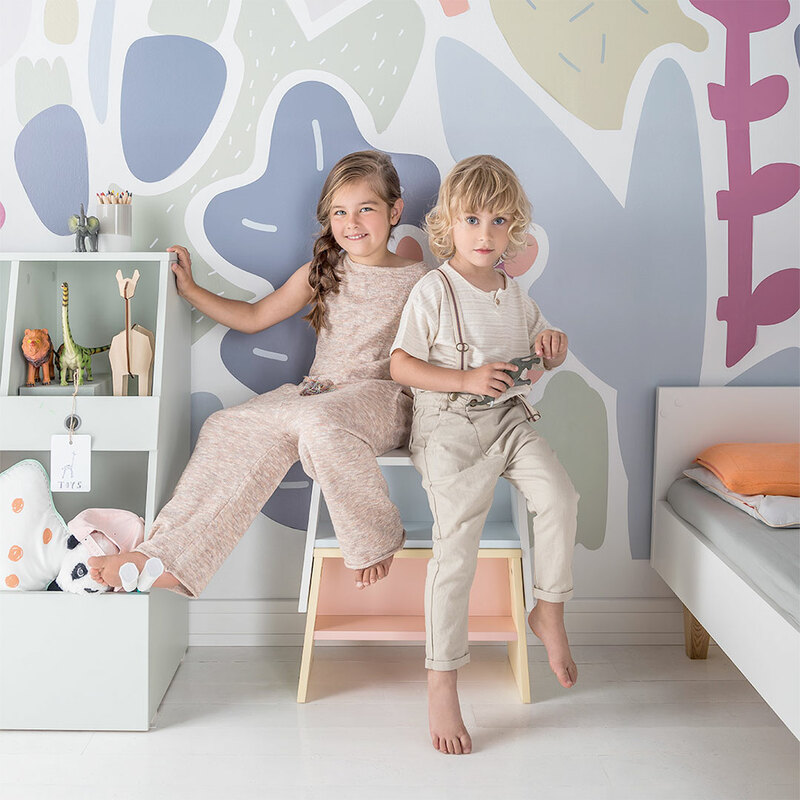 The Tuli Bookcase – Mint by Vox is absolutely perfect for a playroom with its durable materials and kid-friendly design. 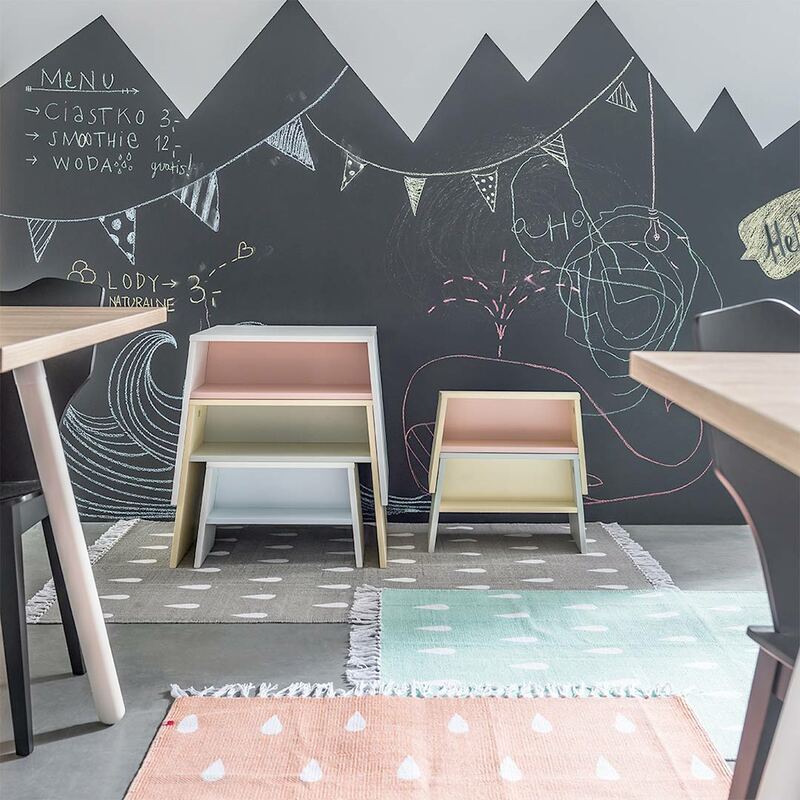 The bookcase has three open shelves adjusted to a toddler’s height which enables the child to see and easily access all their toys and books. 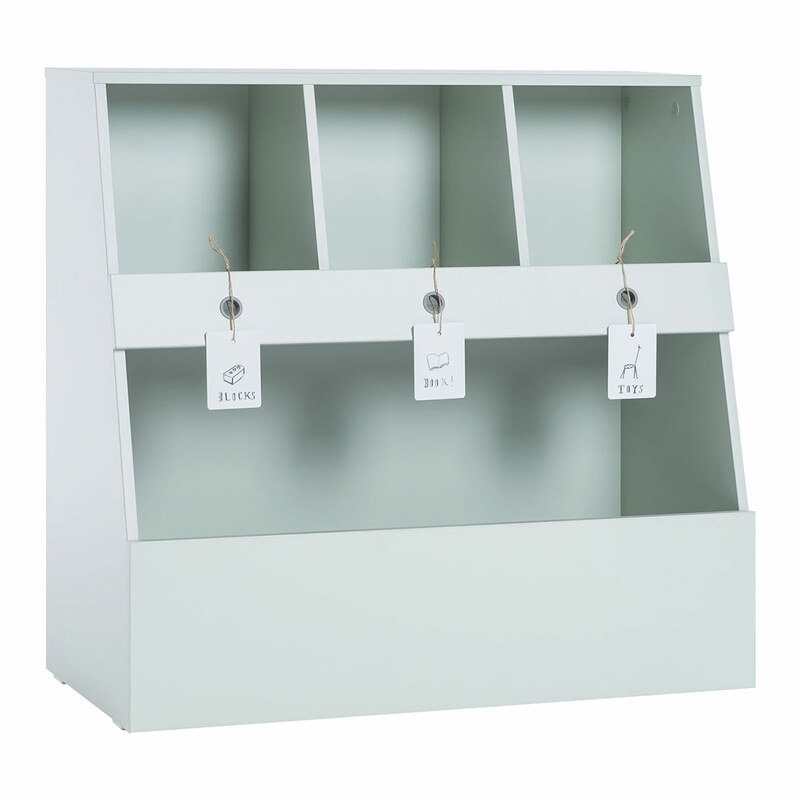 The shelves come with labels to draw symbols which will help the child to put everything back in their place. 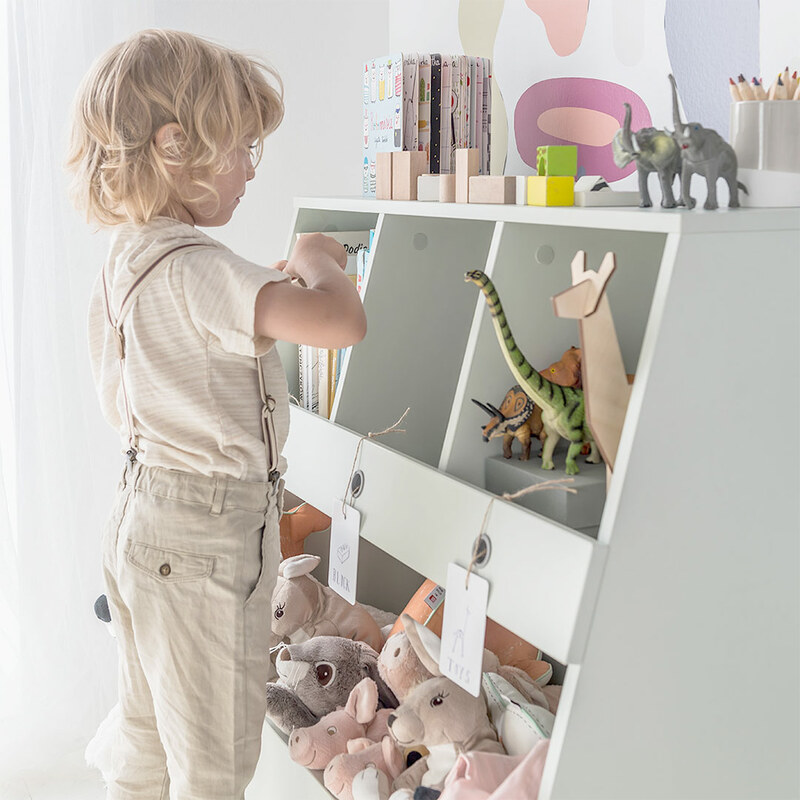 The bottom compartment is perfect for storing and displaying soft toys and larger items. The bookcase has slanted sides to fit with the rest of the Tuli collection, and comes in a trendy mint green colour.